I can’t lie. 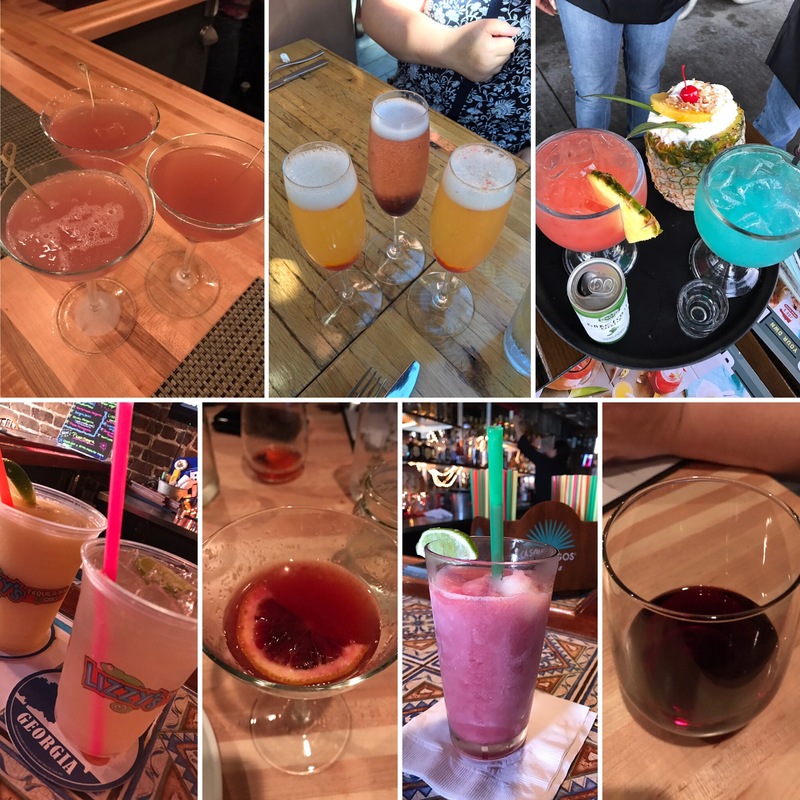 There were a lot of cocktails at QuiltCon. At one point my mom said it looked more like Cocktailathon more than QuiltCon. 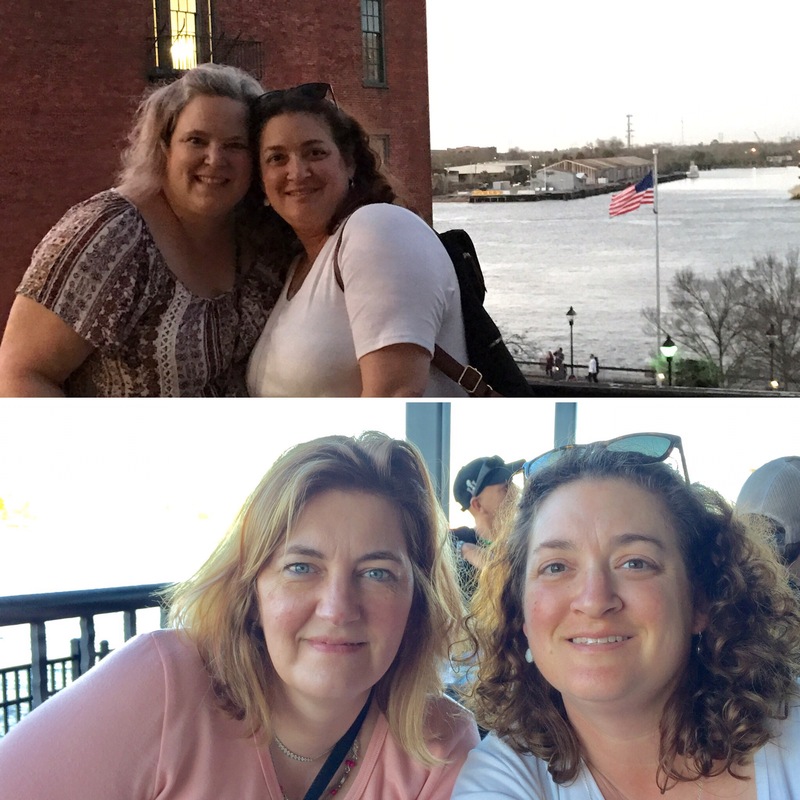 In between all these liquid calories we had great fun at the show but also got to see some of Savannah. 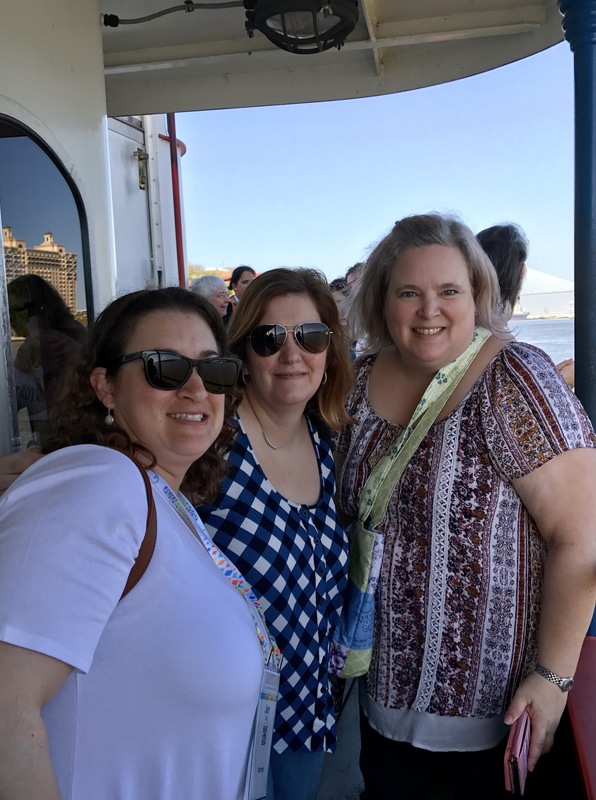 This is 3rd annual QuiltCon adventure that Jen and I have gone on, and we were happy to have Amy join us this year. We also went to Joe’s Crab Shack for the goofy drinks. Watch the video and you will see what I mean. And the Cotton Exchange Tavern is a must do for crab dip. 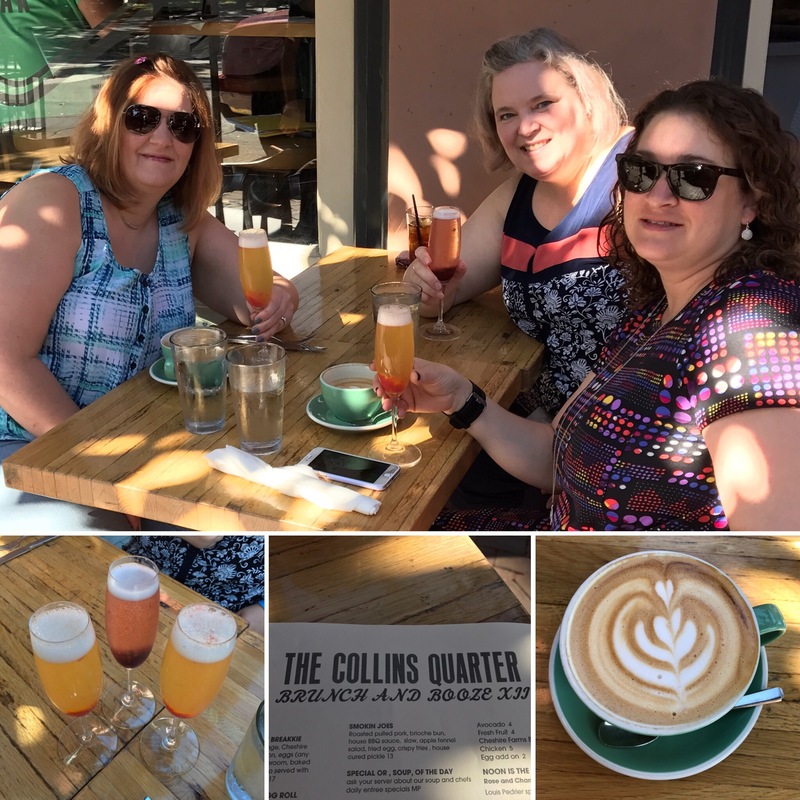 On Saturday, we had brunch at The Collins Quarter. This is not to be missed. Whatever you have will be amazing. Go early, sit outside and have a mimosa. Note they don’t serve them until 12:30 on Sundays. Believe it or not, by Saturday after brunch, we were ready to just enjoy Savannah. Amy went to visit with her niece and Jen and I went exploring. By foot. I got 10,000 steps in, and that never happens. 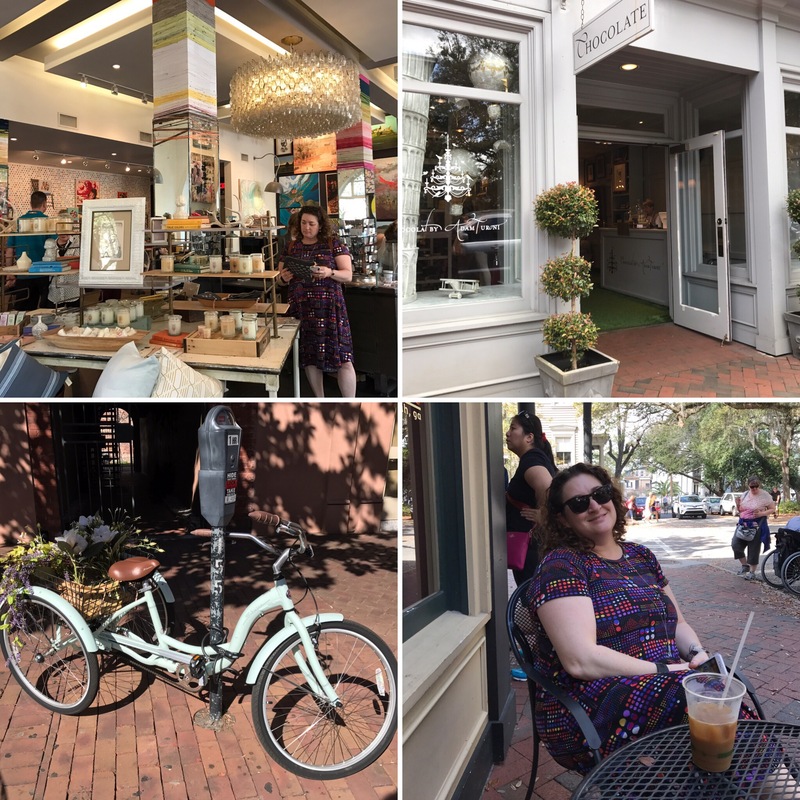 The boutiques were beautiful along Bull Street and then we went to Whitaker Street and they got even better! 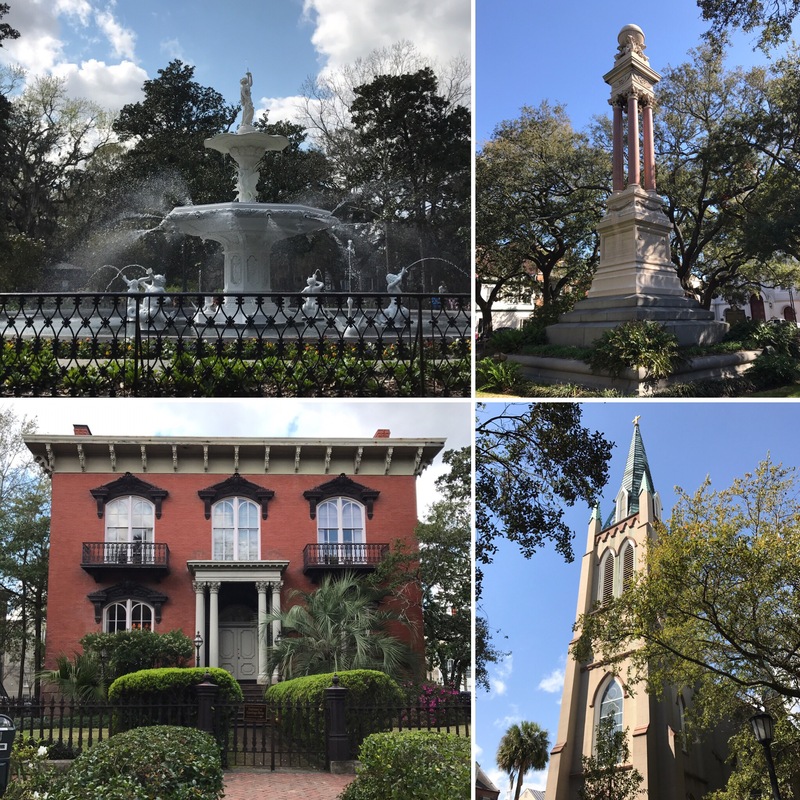 Along the way we visited several of the town’s 22 squares, the house from Midnight in the Garden of Good and Evil and quite a few beautiful churches. 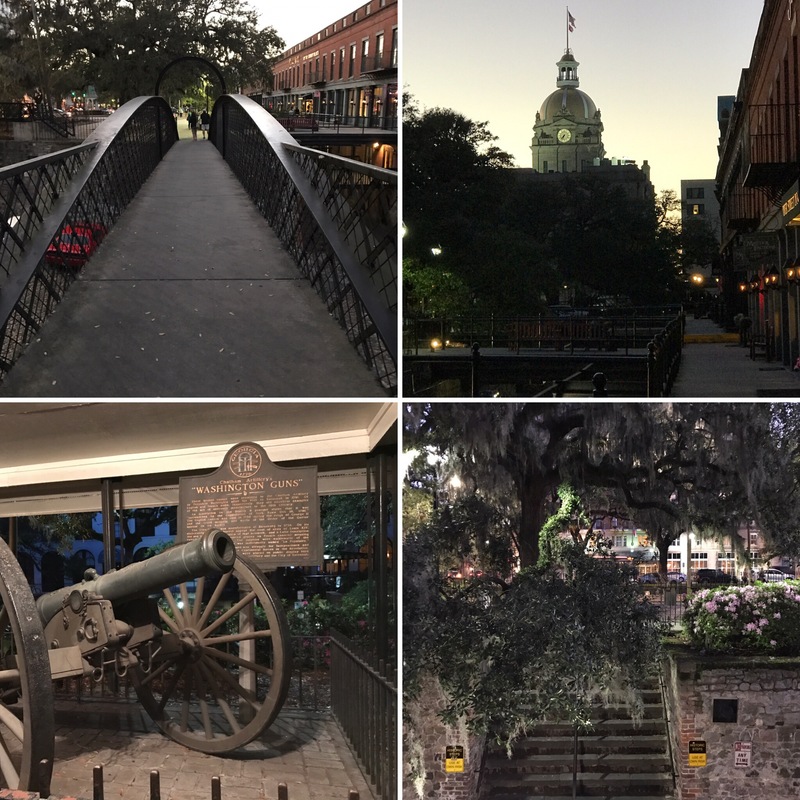 Beyond all of this fun, we had an awesome dinner at Cotton and Rye (go if you are in Savannah), quirky drinks at Treylor Park, and a lot of laughs along the way. We also visited three quilt/fabric shops and those reviews will come this week. That is a wrap for QuiltCon 2017. So happy to share it with my girls Jen and Amy and already scheming for our next adventure!